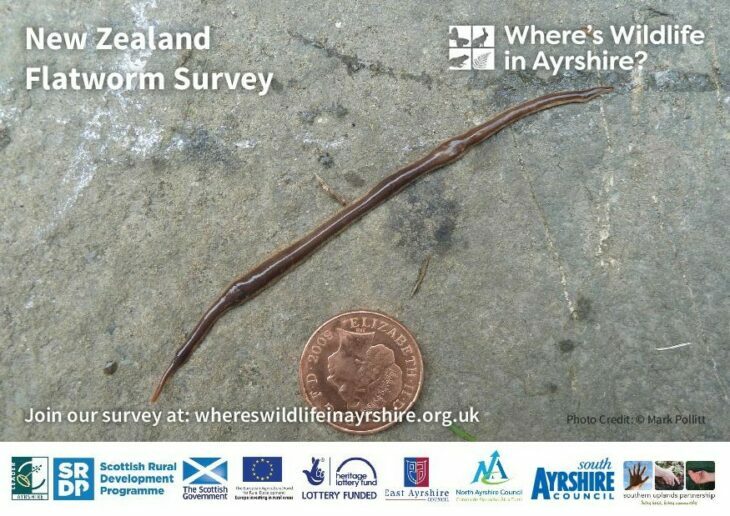 The New Zealand Flatworm Arthurdendyus triangulatus is a non-native invasive species that has spread to Scotland. They are a predator of our native earthworms. 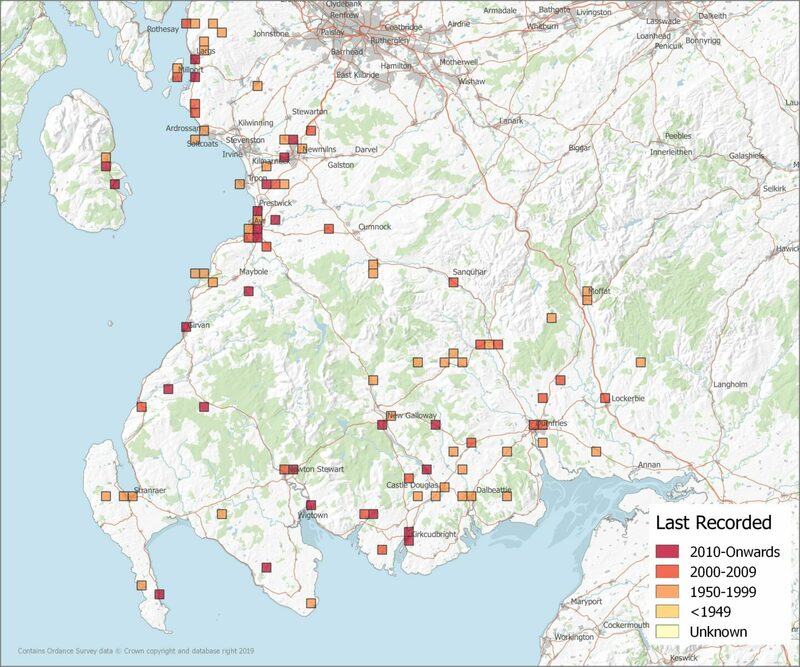 They are under recorded so we want to find out more about their occurrence in our region. They are found under pieces of wood, stone and will curl up on bare soil leaving a slimy circle. New Zealand Flatworms attack earthworms by wrapping themselves around and secreting digestive mucus to dissolve them to then eat. 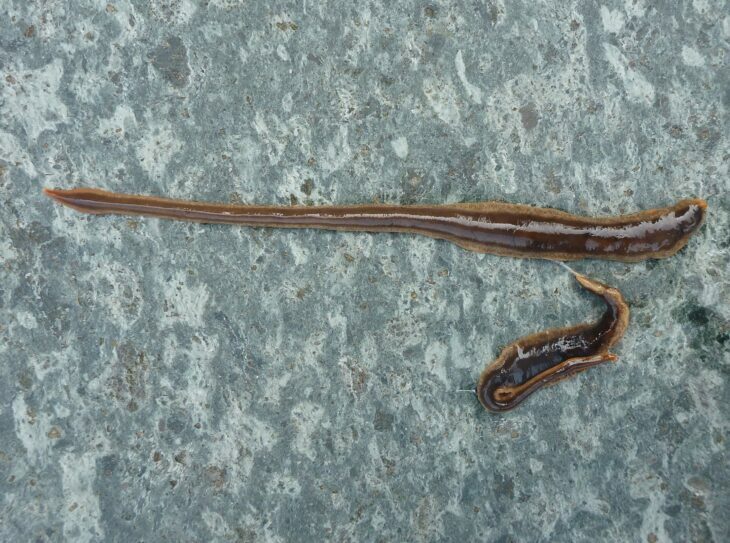 Identification: Large flat worm (up to 17cm) with unsegmented body that is pointed and both ends. Upper surface is dark purple/brown with pale, cream coloured margins; some have a dark stripe up the middle of the body. The underside is lighter in colour with small dark specks. Covered in a sticky mucous that glistens. Their black egg capsules are small and contain up to 7 young. To find out more about New Zealand Flatworm visit Opal Explore Nature.